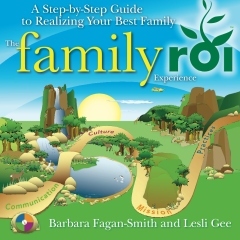 Family ROI | Define your Family's Vision, Goals and Strategy | The Family ROI Experience Book is here! The Family ROI Experience Book is here! We’re excited to announce that we have just published our book, The Family ROI Experience: A Step-by-Step Guide to Realizing Your Best Family! It has been quite a journey! The Family ROI Experience is devoted to helping all families discover their own power to realize their dreams, whatever they may be. Our approach applies proven business principles to revitalize, focus and strengthen families. You can check it out on Amazon or right here on our own website. We hope you enjoy the book and wish you your very best family!